If you would like to catch up on some of my follow up reviews then type "Currently Under Review" in the search bar "Search for my Shout Words" on the right hand side of this post and follow the pink links to all my past monthly reviews. This next product is unfortunately not available in South Africa, so my London "Kiddiewink" recently brought it over for me from the UK for me to try. L.O.V. and is a prestige, high-end, mass market cosmetic brand that focuses on quality and design whilst being available in selected drugstores internationally, at an attractive price and it was recently launched in selected Dischems throughout South Africa. As I have said before on my blog that I'm first drawn to the colour of a nail polish before a particular brand, when I'm browsing the shelves and this dark mauve wintry colour caught my eye in the L.O.V. nail section. 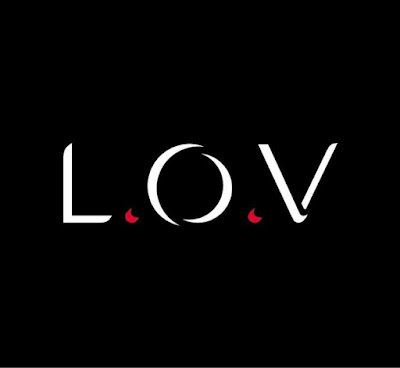 L.O.V. say that perfection is achieved with just one stroke of the brush and that their high- performance brush guarantees a simple and smooth application. I'm a bit fussy when it comes to the type of brush a nail polish has and for me it's a "make or break" thing. width was pretty much the width of my nail and one stroke was all I needed to cover my nail completely with colour. With most polishes I apply my standard three coats plus top coat,however the coverage with this product was fairly good and I only needed to apply two coats and a top coat. I was initially impressed with the ease of application and it does give a smooth high gloss finish, which I prefer, as it always gives the nails that just manicured look. 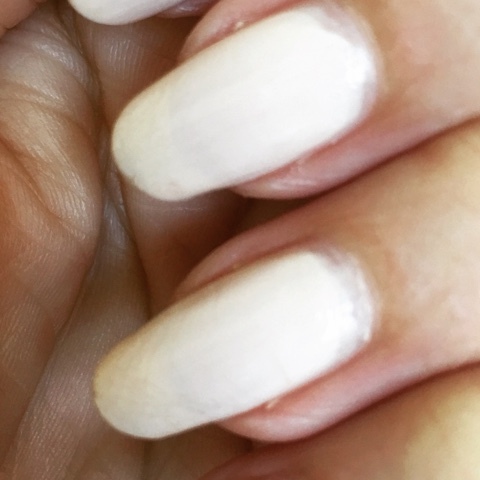 I've had a "bee in my bonnet" recently , as I'm getting rather fed up, as I'm sure many of you are, with nail polish companies claiming that their nail colours last up to 7 or 14 days without chipping or fading. The L.O.Vinity Long Lasting Nail Lacquer claims 7 days and the picture above shows my nails still looking pretty good after 6 full days and to go a 7th day was no problem. Dark colours are always far more maintenance, than light shades, as the colour often fades and even the slightest chips appear to be more obvious, but as you can see there are no chips, only slight wear on the tips, which I can live with. In my opinion this polish stands up its 7 day claim and if like me you wear nail polish everyday, then this could be such a time saver. I am hoping to delve a little further into the L.O.V. brand and as always I will report back with my honest findings on any other products that I try. 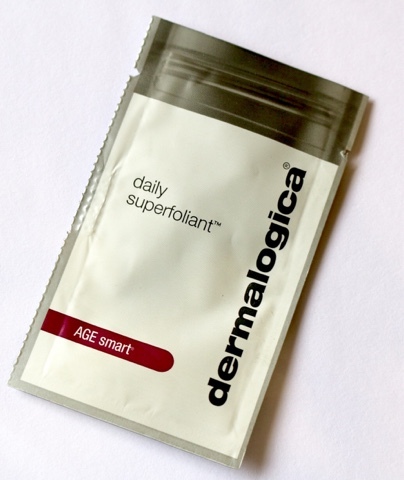 I pulled out of my overflowing sample jar a sachet (in fact I have a couple) of the recently launched AGE smart Daily Superfoliant by the salon brand dermalogica. this highly-active resurfacer that delivers your smoothest skin ever, and helps fight the biochemical and environmental triggers known to accelerate skin aging. As always check back on Sunday for my unbiased thoughts and opinions. 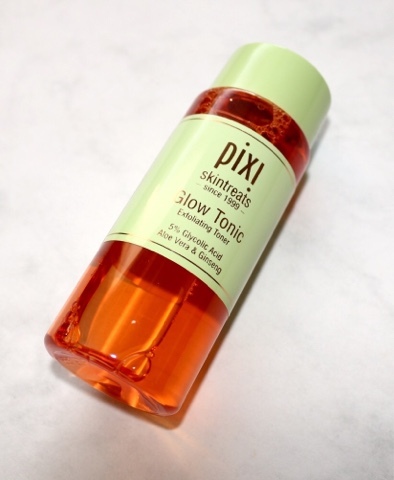 Here I am again reviewing beauty products due to the inclusion of word "Radiant" in the name and just like many women, particularly over 40, we are drawn to products that will help to restore the radiance and glow to our, often, dulling skins. Foundations are the easiest and most affordable products to help you do just that, albeit a temporary solution, a radiant glowy skin is always a more flattering look for the older woman. 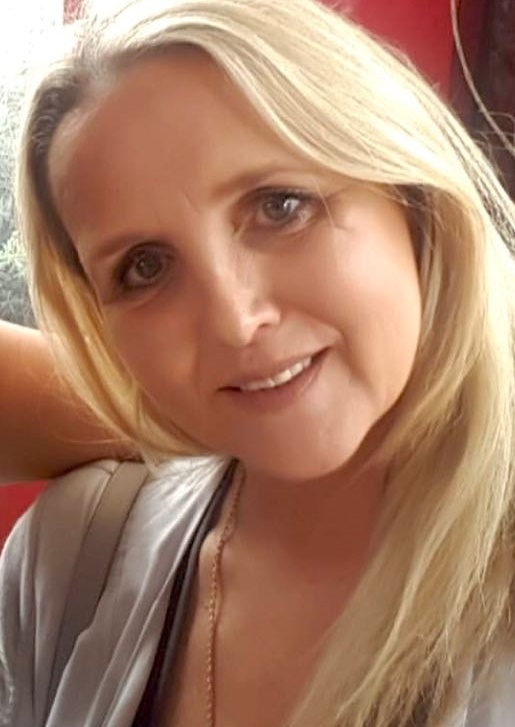 Whilst I was browsing along the Bourjois wall unit recently in Clicks, I also came across two of their radiance make-up items that caught my eye and I thought they might make a good foundation and concealer combo to try and review for you. 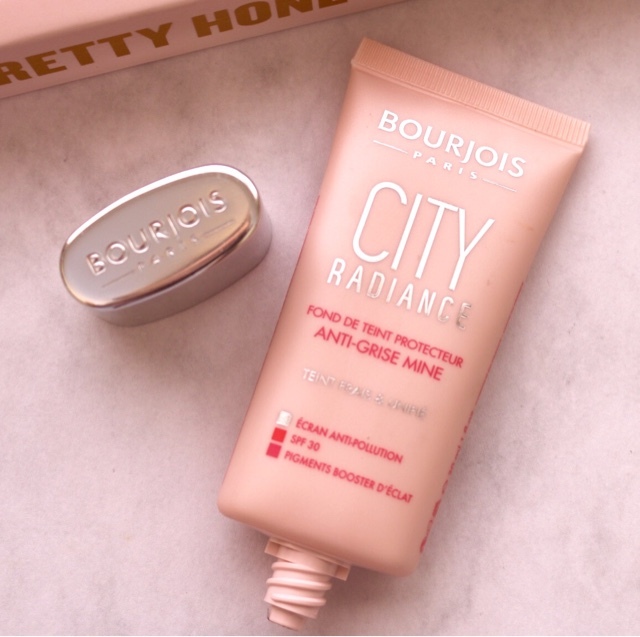 With many of us living in or near polluted cities, Bourjois formulated this foundation for all the urbanites, as its protecting anti-pollution screen prevents the adherence of carbon particles and lets the skin breathe.It also contains an SPF 30 UV screen to protect skin from UVA & UVB, which in my opinion is a "must have" in a foundation, due to me living in South Africa. 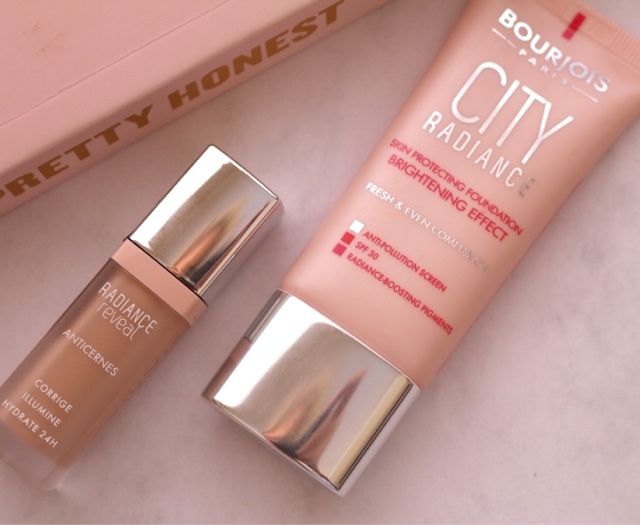 I enjoyed the creamy, hydrating texture of the foundation and Bourjois claims that it would give 24hrs of comfort to the skin. This foundation offers a light - medium coverage, which is buildable and easy to blend, but where it scored big points with moi, was on the radiance front. The inclusion of the radiance-boosting pigments did help to even out my complexion for a more natural, fresh-looking, glowy, luminous skin. I prefer to wear this foundation on those days where I wanted a more natural "make-up free" look, as the radiance enhancers were more visible when the make-up products applied on top were kept to a minimum. The pretty pale pink packaging obviously gets my approval and the size of the nozzle allows for a controlled amount to be dispensed. It's Dermatologically tested and Non-Comedegenic. I must also make mention of the delicate soft fragrance that this foundation has, as I love it. 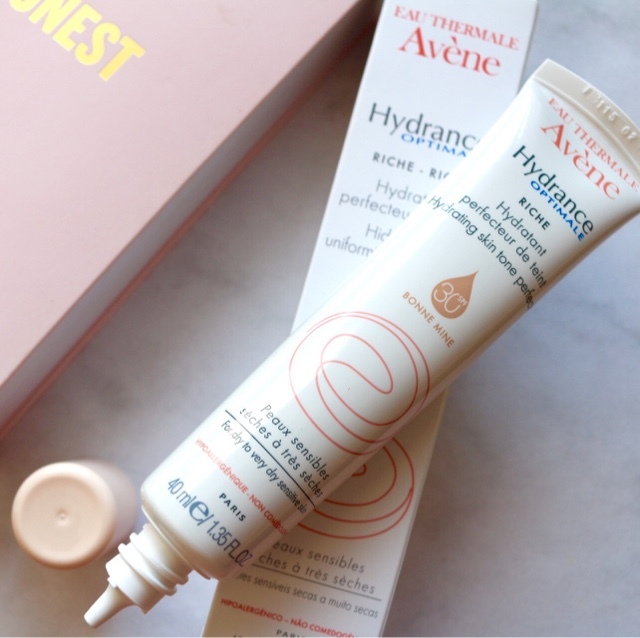 From my review I think you can tell that this foundation would be one that I would re-purchase and highly recommend if your skin is dull and needing, a little or a lot of help on the brightening front. 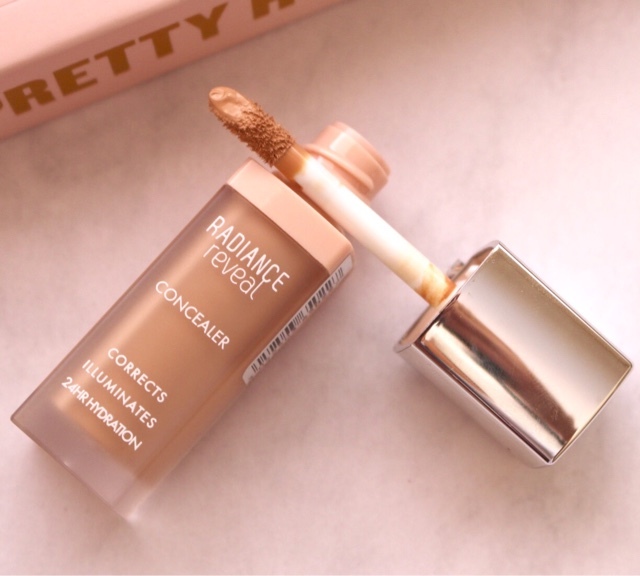 Again I'm always on the look out for a good concealer and if it contains light reflectors to help brighten that troublesome under eye darkness, then it's a bonus and this Radiance Reveal Concealer does just that! This creamy melting texture,not only helps to correct the colour, but it quite adequately conceals imperfections,dark circles and gives a fresh and radiant look. thanks to the inclusion of enriched with Mont Blanc glacier water & hyaluronic acid, but I certainly wouldn't substitute any of my daily eye treatments and serums with this product, but it is nice to have the extra benefits included in your concealer. The continuous hydration is very noticeable as this concealer doesn't go cakey or dry like so many do. 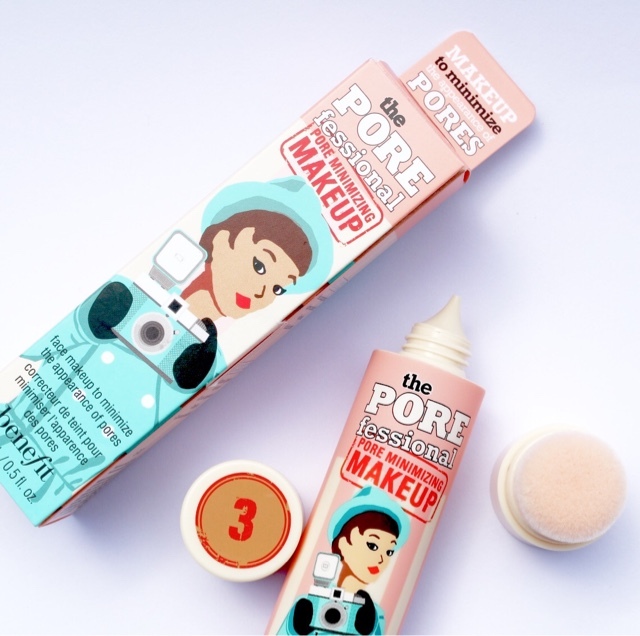 The dinky sponge applicator enables you to be really precise with your application and I have to say I prefer a sponge applicator and apparently you can use this concealer as a highlighter, which I haven't tried yet. I can't remember the last time I used a manual toothbrush, (most probably it was on a long haul overnight flight last November), as I'm a long time convert to an electric toothbrush, having use one for the past 20years or so. I have always been extremely happy with the OralB brand and after my previous one had loyally supported me in the cleaning of my teeth for the past 8-10 years I saw no reason to change brands. I previously had a rechargeable model, which at the time was the top of the range and its price of around R1800 was a heavy price tag at the time. However it never gave me a days problem, but it was starting to "tire" as it was failing to hold a charge, but if I were to work out, the cost per use, it has served me well on the cost front and based on this I didn't really hesitate at the price when I was researching my next purchase. The Oral B Genius 9000 was launched internationally in 2016, but has only been available for sale here in South Africa at Clicks and Dischems from the beginning of 2017 and they retail here in South Africa for around R3,800-R4,000. 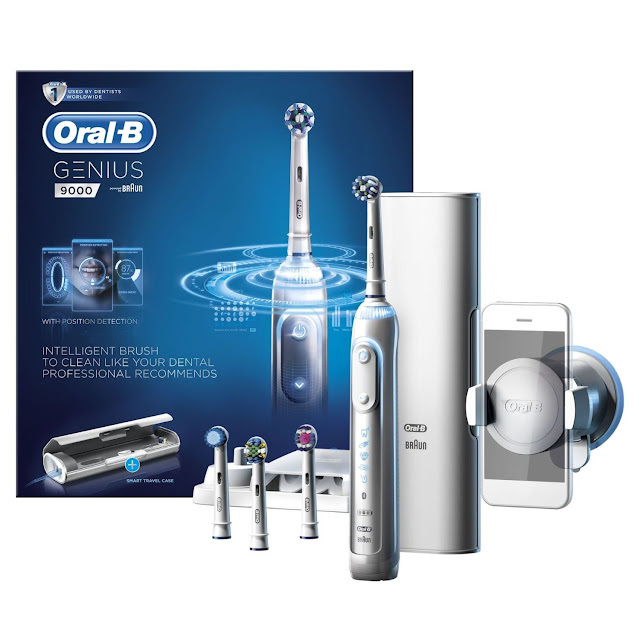 The revolutionary Genius 9000 electric toothbrush features a dentist-inspired round head that surrounds and cups each tooth with oscillating, rotating and pulsating technology to remove up to 100% more plaque than a regular manual toothbrush. Designed to help you brush like your dentist recommends, this brush connects with the Oral-B smartphone app via Bluetooth technology to provide you with customized real-time feedback, including time coaching to brush a recommended 2 minutes, triple pressure control to protect your gums from over-brushing, and advanced Position Detection technology so you never miss a zone. It’s like having a dentist at home....it’s GENIUS. 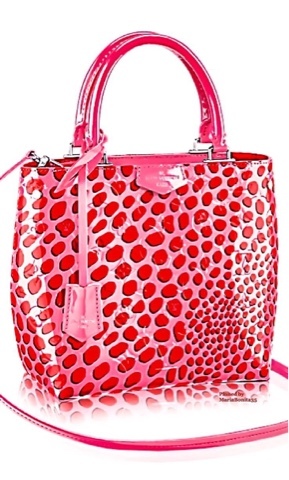 I recently got my London "kiddie wink" to bring me one over from the UK on his recent home visit.The price seems to vary tremendously depending on whether its on special offer or not. I managed to pick mine up on Amazon for £109, but I have seen it on special at Boots and Superdrug for as low as £99, but the price can be as high as £180. 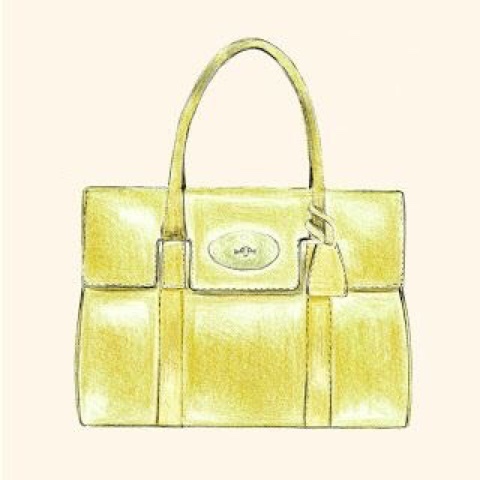 There are 3 colours available and whist I opted for the white it also comes in black and there's also a lovely Limited Edition Rose Gold. I just love everything about this electric toothbrush, not just the fact that it's really a superior brush and your teeth feel amazingly clean and polished, but I'm enjoying all the GENIUS extras, especially the Smart travel case with an extra USB port to charge your both smartphone and toothbrush with 1 plug, which is an absolute life saver if you travel a lot. I really enjoy the 6 cleaning modes, which I do chop and change between. Here are my Quickie Product Reviews (QPR'S) for April, unfortunately my scoring ranges from an 8 to a zero...yes a zero! I bought this product hoping that I would love it and it would fill the gap left by the Snow Fairy, but alas the opposite happened. However if you love to smell like a huge sweet blackcurrant then you will just love "The Comforter". In the Lush store, I just had a whiff of the product from the bottle and not being opposed to a fruity fragrance I bought the 100ml size. Thank goodness I did, as this was as its name suggests... of no "comfort" to me, as it was overpowering and had a really unpleasant overriding petroleum smell and it was the worst fragrance in a shower cream I have ever tried.That being said if you enjoy a strong and intense fruity fragrance from your shower products, then I highly recommend. I personally like the Lush Shower Creams but my dislike for the fragrance distracted from the usual products benefits. Over the past 30 years I have always bought & used Professional salon ranges of hair products and I have "yo yo'd", over the years, between Redken, Kerastase and L'Oreal Professional, which I have always been very happy with and I've never had any negative reactions. 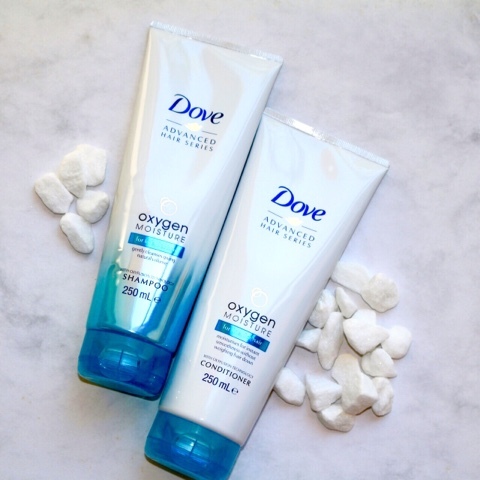 Several weeks ago my shampoo was running out and I stupidly broke from tradition and bought a pharmacy range shampoo and conditioner from the Dove collection. My scalp unbeknown to me instantly took a reactive dislike to either the Oxygen Moisture Shampoo or the Conditioner or both. From the first wash my scalp felt itchy, which I put down to possible sunburn along my parting, which I have had before. 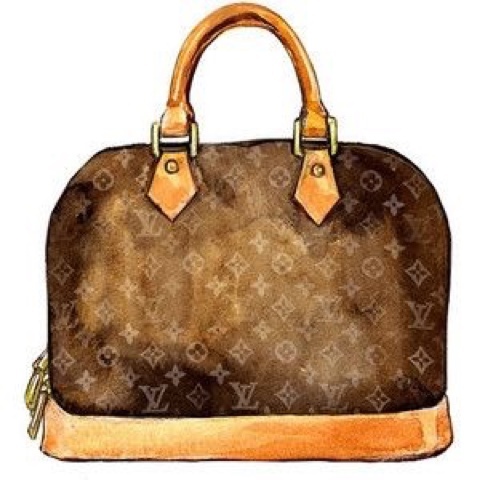 However the itching continued for several weeks (just on the day of washing and conditioning my hair), but no scalp flakiness appeared and I soon connected the dots to realise it was a reaction to the products. "breath life into fine, flat hair leaving it beautifully bouncy and moisturised and full of natural volume". Despite the obvious reason for the zero rating my hair, whilst feeling clean, didn't feel or look particularly great. (Personally I think my hair went into a state of "Shock") I'm sure there are lots of happy users out there but I'm not one of them. What I've learnt from this - I won't stray off my salon hair products in a hurry again and in my opinion they're well worth the extra money. 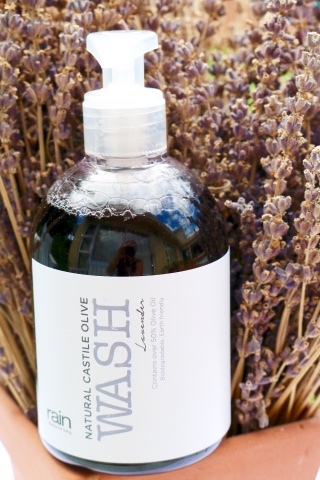 Being a huge fan of all things rain, my "go to" liquid hand wash for a couple of years now has been the generous 400mls (lasts so long) of the Natural Castile Olive Wash.
Having a dual purpose as a "wash" it can be used by the basin or in the bath. These washes contain over 50% olive oil meaning that your hands and body are left feeling moisturised in a non greasy way. 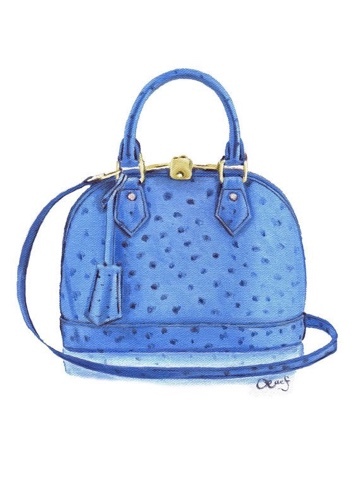 A long overdue Sunday Sketches post featuring some iconic designer bags all of which the majority can't afford but there is no harm in looking at them in sketch form. 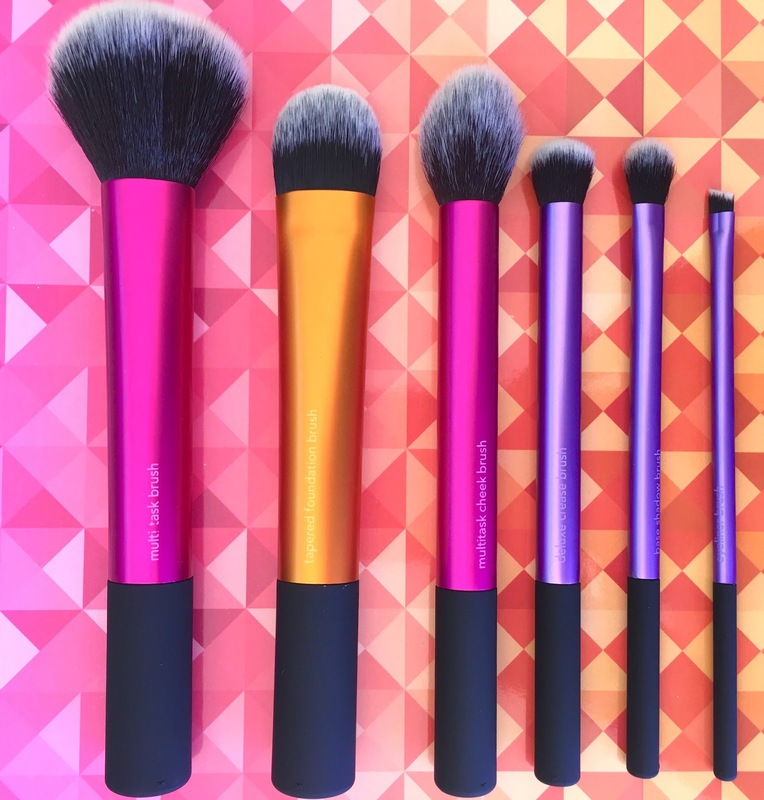 Believe it or not the manufacture and sales of make-up brushes globally is huge, in fact so much so, an in-depth market report is compiled and released annually dissecting every aspect of the makeup brush business. Having studied Hairdressing and Beauty Therapy for 3 years, we were always advised to buy the best tools that you could afford at the time and makeup brushes were no exception and I just happen to have, and still use today, a couple of my very expensive original natural bristle brushes that I trained with all those years ago. As the makeup "times" have changed the debate, as to which is a better brush, synthetic bristle or natural bristle still rages on, but with the R&D that has been put into the manufacture of synthetic bristles it now seems that synthetic is out "on top". Over the years I may have bought or been given an odd brush here and there, but pretty much those 3 sets have seen me through my makeup life! That was until recently, when I bought a set of Sam & Nic Real Techniques brushes in the UK. All of the brushes can be bought individually, but this set comprised of a good basic selection of brushes and even though I wasn't particularly interested in the silver cylinder travel case,(it has proved to be handy) it just happened to be cheapest way to buy the brushes that I really wanted and knew I would use daily. After the successful launch in 2010 of their joint and now infamous Pixiwoo®YouTubechannel it wasn't too long before the Real Techniques brush collection was conceived and launched in 2011. I highly recommend that you pop over to the Real Techniques website for more info and for some great tips and makeup advice. Regardless of whether you're applying, blending, lining, shading or highlighting a good brush is an important part of your makeup routine. The small applicators and brushes that come in the cosmetic compacts etc. are in my opinion pretty much useless, so in order to get the best out of your cosmetics and achieved a well applied, blended and a more professional natural look, specialised brushes to do a specific job are a necessity and you really cannot avoid the investment. My set comprised of the following 6 brushes, which I have found to be a good selection and I do use them all. The Real Techniques brushes are made with synthetic bristles, 100% Cruelty Free and environmentally friendly. 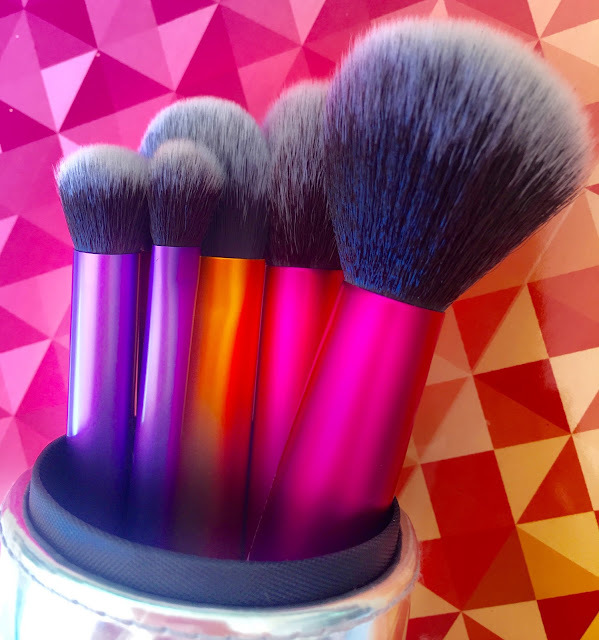 The brushes feel incredibly soft on the skin, whilst picking up the colour well and blending evenly and as with all synthetic brushes they're super easy to clean. 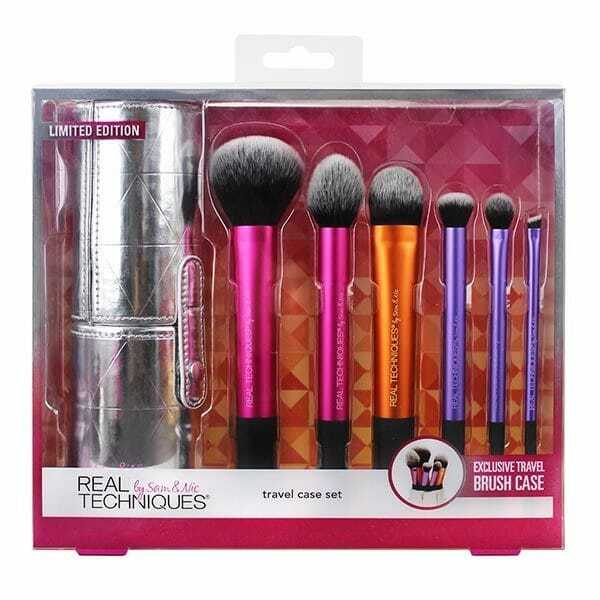 The quality of the brushes is excellent (to date there has been no bristle shedding), they feel comfortable and well balanced in the hand and I'm really enjoying using them. 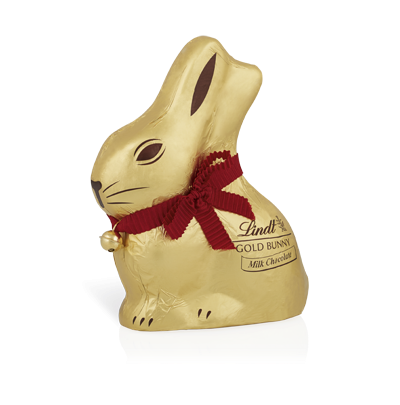 For generations, the LINDT GOLD BUNNY has been the true icon of Easter. Lovingly created with the finest chocolate, then wrapped in gold and crowned with its iconic bell and red ribbon by the LINDT Master Swiss Chocolatiers. When you hear the bell of the LINDT GOLD BUNNY, you will have found all that is best about Easter. The LINDT GOLD BUNNY remains Easter’s most iconic chocolate gift, bringing delight to friends and family, young and old. This Easter, children in Durban will have the opportunity to embark on the ultimate Easter hunt, as The LINDT GOLD BUNNY Gardens, once again, make their way to all three major cities over the holiday period. These enchanting gardens will play host to a series of Easter hunts, during which children will be able to fill their baskets with delicious LINDT treats. To enter the gardens all you need to do is purchase a LINDT GOLD BUNNY Milk 100g from a Woolworths store or at The LINDT GOLD BUNNY Garden Kiosk and keep your till slip (Each LINDT GOLD BUNNY Milk 100g entitles one child to enter a LINDT GOLD BUNNY Garden). Hunts take place twice per hour. For more information, please visit www.lindt.com. This Easter, give someone the most lovable gift of all; their very own personalised LINDT GOLD BUNNY. Simply purchase a 100g LINDT GOLD BUNNY from participating Pick n Pay stores, join the queue and our LINDT Ribbon Makers will print a red ribbon with your loved one’s name on it and lovingly tie it onto your LINDT GOLD BUNNY. Only available at participating Pick n Pay stores from 6 to 15 April 2017. Visit www.lindt.com for further details. Sally Hansen is "THE" American nail care brand that seems to have been around forever, but it was in 1957, 50 years ago when Sally Hansen, together with her chemist husband, pioneered a nail protection formula called Hard As Nails. and still forms part of their nail collection today. 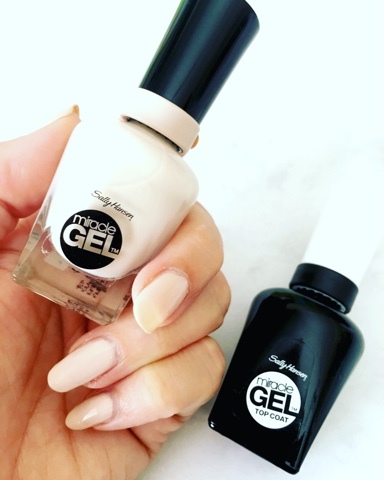 After reading several reviews about their Miracle Gel I thought I would give it a try, as my nails are never left bare and I rarely post reviews on nail polishes, to be honest there isn't all that much to say about them. However this Sally Hansen Miracle Gel is the exception to my general rule. 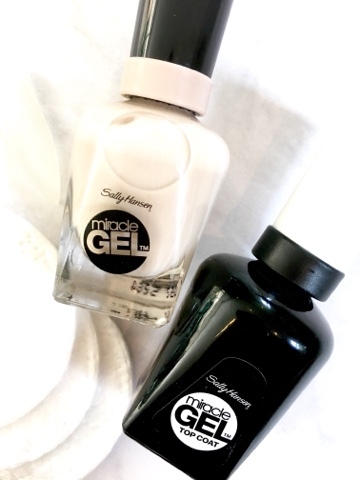 Seen as a breakthrough in gel nail polish,I was quite excited to get that "salon look" at home by applying the Miracle Gel Nail Polish by Sally Hansen. The 2-step gel manicure needs no light due to its natural-light-curing technology. (I chose the shade Birthday suit, but there is a wide selection of shades) and then one coat of the top coat. The brush was a pleasure to use and the polish glided onto the nails, yet it was easily removed with a normal nail varnish remover, making the whole process extremely easy. However on the third day I began to notice slight crazing, but there were no chips and overall the mani still looked good. "up to 14 days of colour and shine". I don't personally see the point in this claim if the nails soon reveal the cracks and crazing on the top coat and here I'm assuming it's the top coat and not on the base colour. I will be trying the colour on its own without the top coat just to see what happens, but this is sold as a two part process.